A baa-brilliant 'I Love Ewe Mum' mothers day card for a baa-brilliant mum! 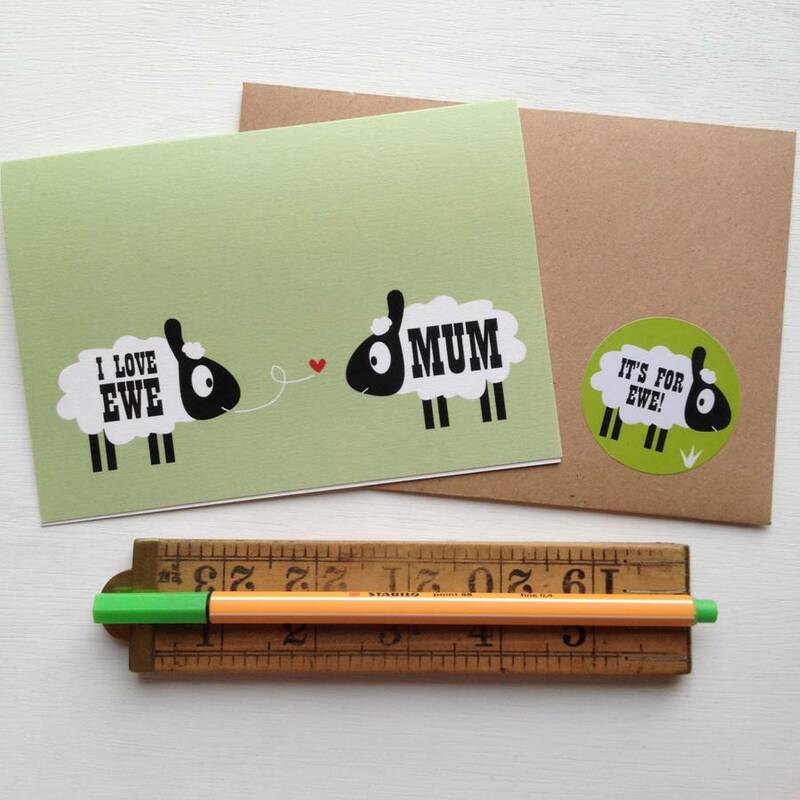 This sheep mothers day card combines humour and sentiment for your mum this mothers day. It does a great job of standing out from the crowd too! 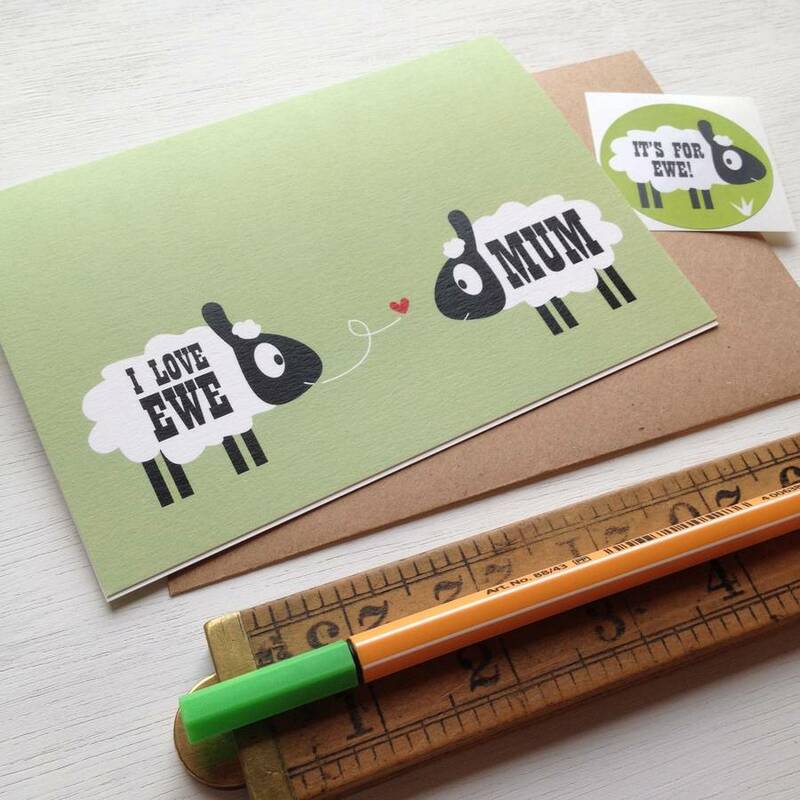 Included in the cello wrap you'll find a cute matching sticker which reads 'IT"S FOR EWE!' 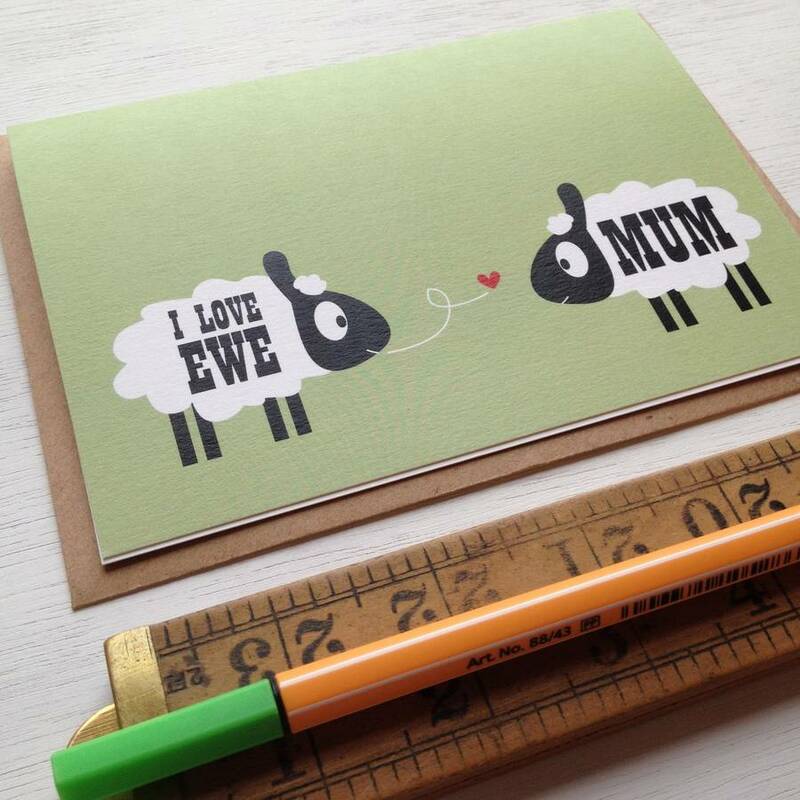 as a lovely finishing touch for the envelope or to use when wrapping the gift. Blank inside for your own message. 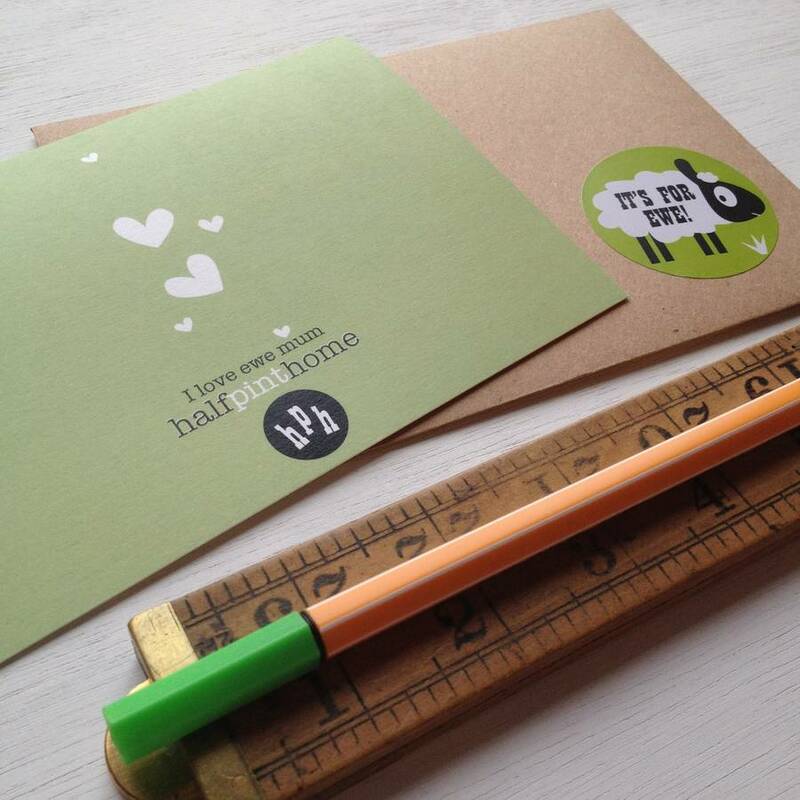 If you'd like to send this straight to your other half or a couple celebrating a wedding you can't attend use the direct send option and your message will be written neatly inside the card and sent where ever you'd like it go. Perfect if you are in a rush as well! 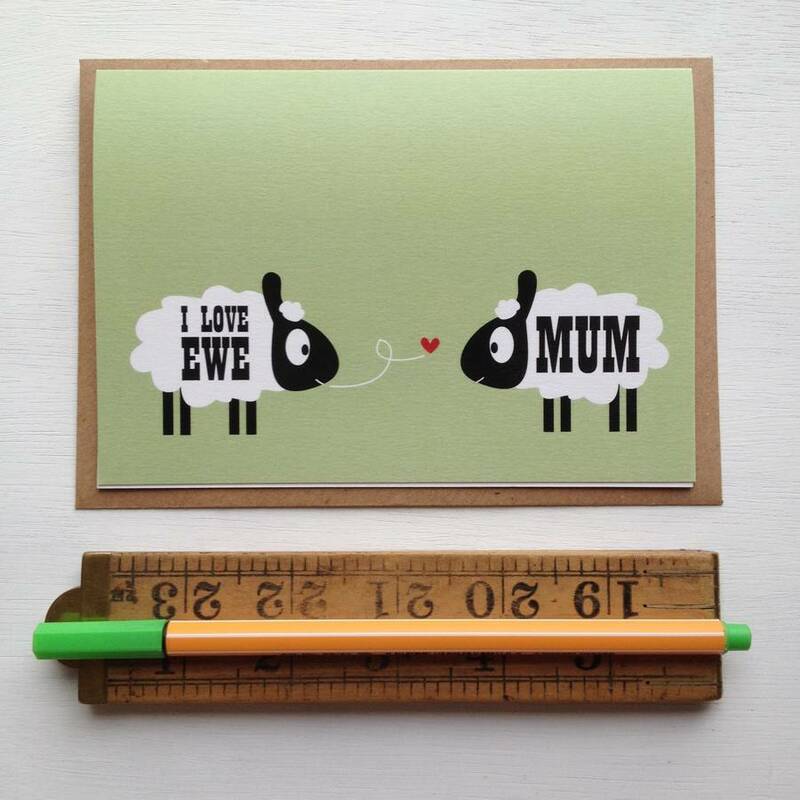 This unique card is professionally printed onto 350gsm heavyweight textured FSC accredited white card stock with a beautiful modern matt finish. It will arrive in a hard backed envelope to keep it crease free and comes cello wrapped so you can even stash it away for the future. 350gsm heavyweight textured FSC accredited white card stock with a textured craft style brown envelope and sticker.